We are the Bellia Family. 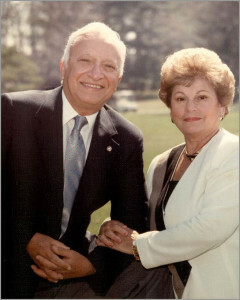 In October 1973, Bellia Print & Design was founded in South Jersey on the vision and ingenuity of our grandparents, Salvatore & Nancy Bellia. As second generation Americans, our grandparents dreamed of owning their own business, and borrowed $10,000 from our great-grandmother to make that dream a reality. They purchased a small printing company on North Broad Street in Woodbury, NJ and sold office supplies to the residents and small businesses of Gloucester County. We believe in quality and service. 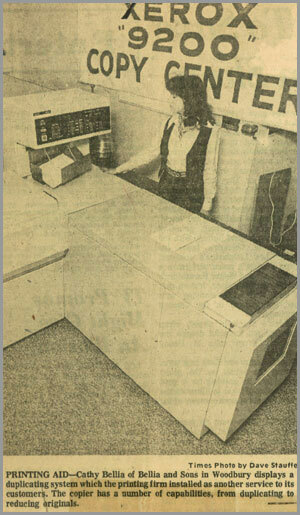 What started off over 40 years ago as a small printing company has evolved into the area’s leading full-service design and digital printing company, serving businesses of all sizes in South Jersey and Philadelphia from two locations: Woodbury, NJ and Glassboro, NJ. We believe in community involvement. Members of the Bellia Print & Design staff belong to various chambers of commerce (including Greater Woodbury Chamber, Gloucester County Chamber, and Southern New Jersey Chamber of Commerce) Main Street Woodbury, Ronald McDonald House of Southern New Jersey, National Multiple Sclerosis Society: Greater Delaware Valley Chapter, and more. We also believe in your business. Our grandfather always told us “Be passionate about all the important things in your life”. For us, the important things are business and family. 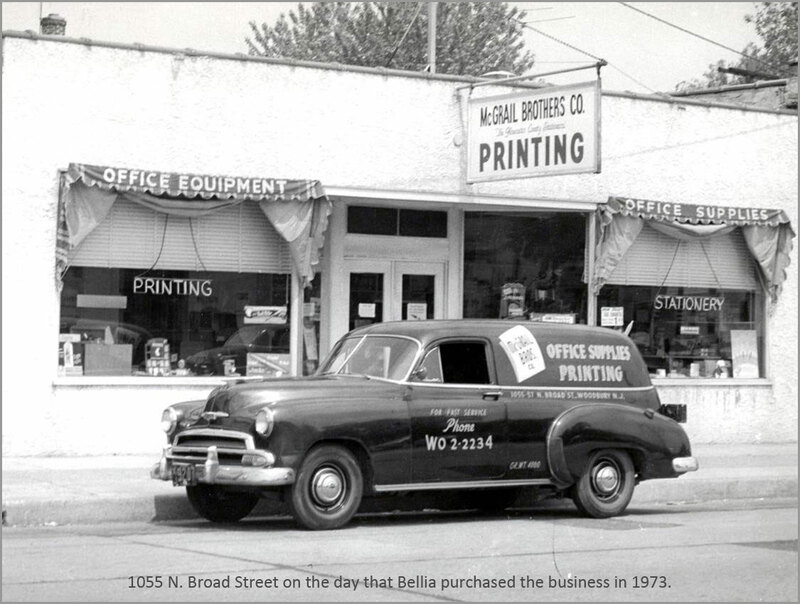 Visit us in Woodbury or Glassboro, or click here to tell us how Bellia Print & Design can help make your business more successful!